Blumenthal has crafted an exciting, can’t put it down biography revealing Steve Jobs as a complicated man compassionate about computers but searing in his dealings with family, friends, and employees. 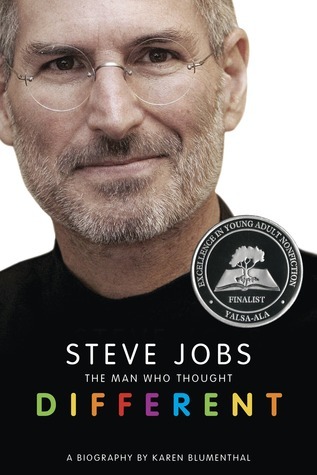 Beginning with his commencement speech to Stanford University, the reader will be hooked while reading about Jobs’ life from adoption to dropping out of college after one semester, from his inventions to his freakish eating habits and from his vision of technology to his being fired by Apple and how each of these life lessons framed him as the legend of ipads, iphones and ipods. Side bars, B&W illustrations, Notes, Bibliography, Glossary and Index provided.